Several copper/bronze issues are shown here that pre-date the 'first' purely Islamic Empire issues made in gold & silver. Arab-Byzantine (AE) and Arab-Sasanian (Ag) coins were issued before the gold dinar (696 AD) and the silver dirham (698 AD). 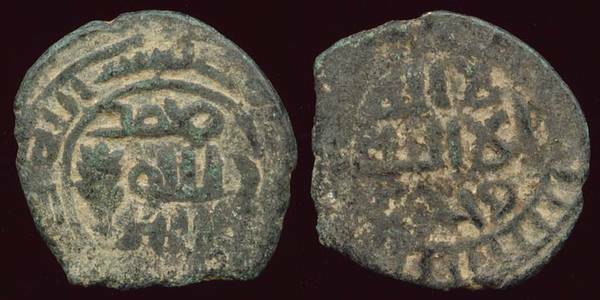 This coin is an Umayyad issue (AE 20) from the Ramla Mint (scarce).